The 2017 SwimRun UK Championships Loch Lomond Inch by Inch had it all, a choppy loch but with flat calm swims, torrential rain, glorious blue skies, new winners and previous winners reclaiming their crown. It also had the last team to finish last year finishing on the podium this year. With a large number of teams not making the loop cut offs for Conic Hill and Inchmoan loop it was tough for our timers to keep track of who was finishing in correct order. Thankfully we have checked the check point control sheets and we now have finalised results. Unfortunately we made a mistake at the prize giving. One male team who were entered to the Long Course dropped to the short course and we forgot to add their time to correct list. They finished 2nd so sadly below them everyone drops down a place. Here are what we believe are the finalised results. If you see any errors or have any issues please get in touch with Alan asap. Full race report to follow. Time for bed. The third Swim Run UK race takes place on Sunday 3rd September 2017. 200 athletes will be swimming and running their way across Loch Lomond. There will be 2 races. Long course starting at Burnfoot Jetty Arden 8am and Short course starting at Lomond Arms Hotel 12noon. Please park in the main Balmaha car park and walk round to pier directly opposite Inchcailloch. PLEASE DO NOT ATTEMPT TO PARK YOUR CAR AT CASHELS CAMPSITE!!! If you want to climb Conic Hill alongside your athletes then you can get the 13.30 or 15.00 boat back. ALSO if you want to base yourself at Luss and see the athletes on the small islands loop / short course you can get the small blue and white Lomond Lass island cruise boat from the far right of Luss beach. It will do half hour cruises through the narrows allowing you to see swims 6, 7,8,9. Keep up to date with the race progress on the Facebook page where we will have photos, videos and time checks. Fancy dipping your toe into SwimRun? Find your perfect SwimRun partner and get 50% off our 2017 Short Course races. The short course races are perfect for endurance athletes wanting a taste of this exciting sport where you swim then run then swim and repeat several times with your team mate. Courses are set for winning times of approx 2-2.5hrs, with most athletes comfortably finishing within 3-3.5hrs. This offer is limited to the next 4 days or until sold out. Entry for the 2017 SwimRun UK Race Series opens this Friday 23rd September. 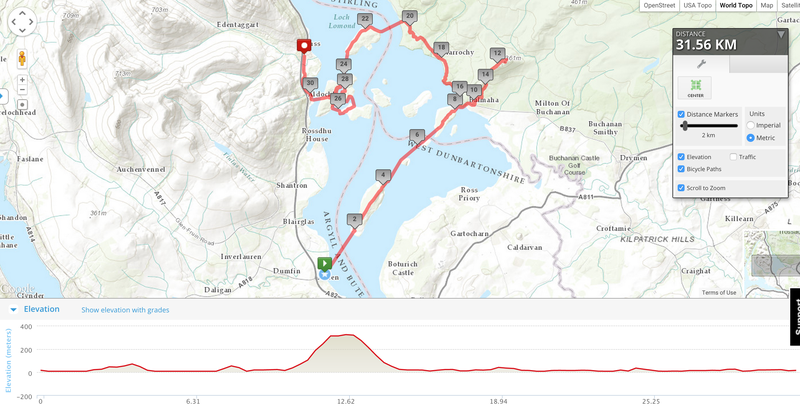 The series features races at Glencoe, Snowdonia and Loch Lomond. The best team (male pair, female pair or mixed pair) from all 3 races will win a once in a lifetime trip to race in Australia. Entry for each Long Course race will be £300 per team + entrycentral.com booking fees. So effectively each athlete gets to race for £100 per race. Choose your partner wisely, you’re going to spend a lot of time together and you might be going to Australia together.